Acupuncture is a complete medical system that can treat, or compliment treatment, for almost any health problem. In this section I will outline a few common ailments often treated with acupuncture. People that suffer from these aliments are often not pleased by the western medical treatment options and/or side effects of those treatments. 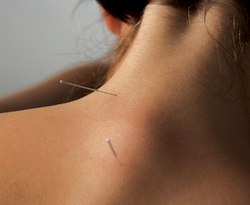 For a more comprehensive list of what acupuncture can treat please visit our FAQ page.